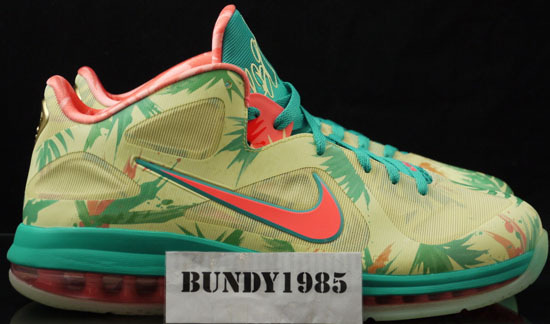 Nicknamed the "LeBronold Palmer" edition, this pair of Nike LeBron 9 Low's are a player exclusive made for LeBron James. Check out the auction here. 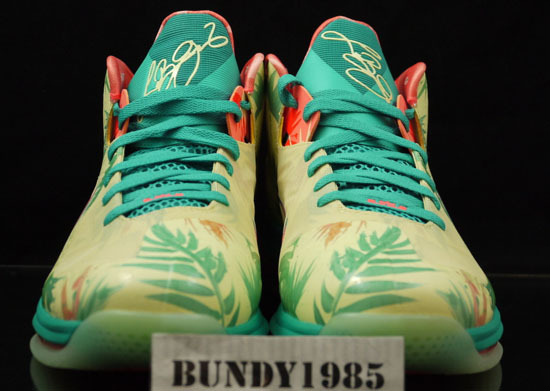 These popped up this past summer by LeBron James himself when he tweeted a picture of them. 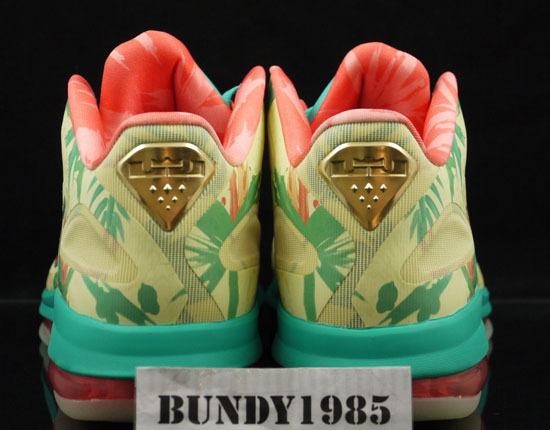 Inspired by the Arnold Palmer drink which was made and inspired by the proffessional golf legend. 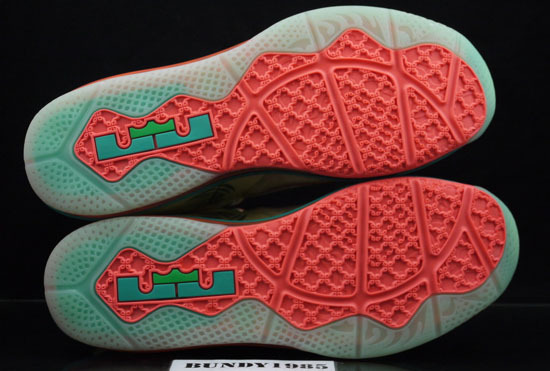 Featuring a tropical-like design on the upper, a glass with the actual drink is found on the insoles and a glow-in-the-dark outsole. 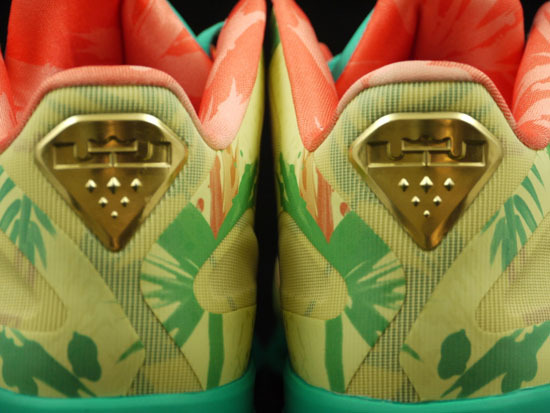 These are an exclusive Nike LeBron 9 Low made for friends and family of LeBron James. 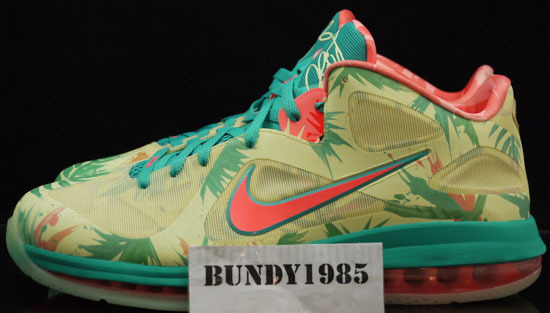 Take a look at the "LeBronold Palmer" Nike LeBron 9 Low PE below. If you're interested in adding these to your collection, click here to buy them on eBay.